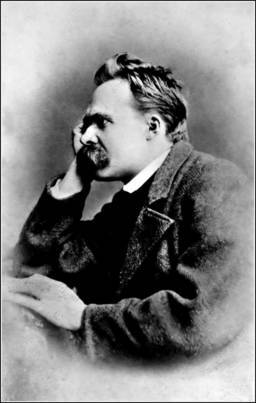 The most prominent owner of a writing ball was probably the German philosopher, Friedrich Nietzsche (1844-1900). In 1881, when he was almost blind, Nietzsche wanted to buy a typewriter to enable him to continue his writing, and from letters to his sister we know that he personally was in contact with “the inventor of the typewriter, Mr Malling-Hansen from Copenhagen”. 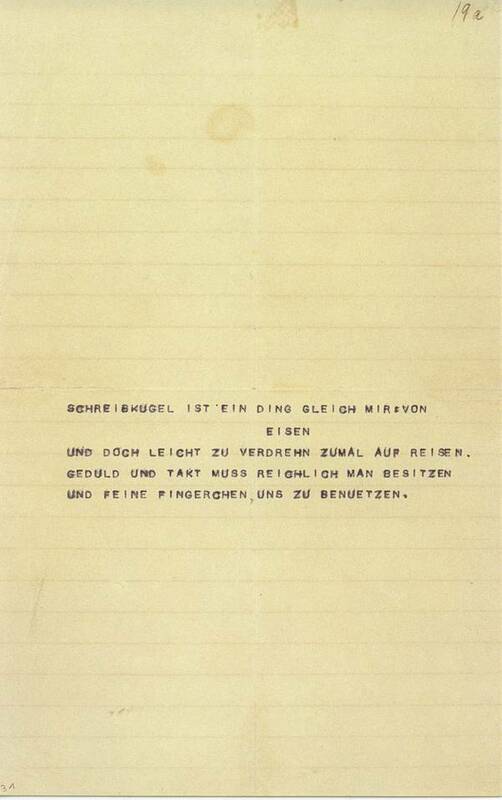 He mentioned to his sister that he had received letters and also a typewritten postcard as an example. Nietzsche received his writing ball in 1882. It was the newest model, the portable tall one with a colour ribbon, serial number 125, and several typescripts are known to have been written by him on this writing ball. We know that Nietzsche was also familiar with the newest Remington typewriter (model 2), but as he wanted to buy a portable typewriter, he chose to buy the Malling-Hansen writing ball, as this model was lightweight and easy to carry — one might say that it was the "laptop" of that time. Unfortunately Nietzsche wasn't totally satisfied with his purchase and never really mastered the use of the instrument. 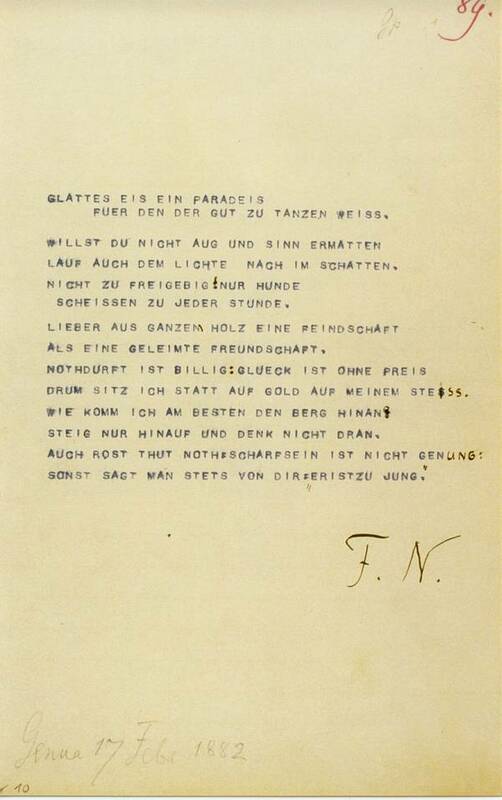 Until now, many people have tried to understand why Nietzsche did not make more use of it, and a number of theories have been suggested such as that it was an outdated and poor model, that it was possible to write only upper case letters, etc. Today we can say for certain that all this is only speculation without foundation. The writing ball was a solidly constructed instrument, made by hand and equipped with all the features one would expect of a modern typewriter. You can now read the details about the Nietzsche writing ball in a book, "Nietzches Schreibkigel", by Dieter Eberwein, vice-president of the International Rasmus Malling-Hansen Society, published by "Typoscript Verlag". In it, Eberwein tells the true story about Nietzche's writing ball based upon thorough investigation and restoration of the damaged machine. Friedrich Nietszche was not aware that his trouble in using the machine was caused by damage to it during transportation to Genoa in Italy, where he lived at the time. And when he turned to a mechanic who had no typewriter repair skills, the mechanic managed to damage the writing ball even more. 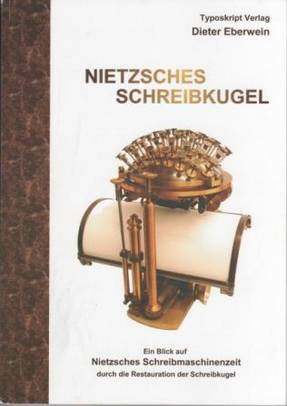 In his book, Dieter Eberwein presents all the typescripts Nietzsche ever wrote on his machine (about 60) and reveals the true story concerning the damages. Nietzsche also did not know how to change the direction of the colour ribbon, so that he had to ask the mechanic to help him each time the ribbon was out. Eberwein's conclusion is that Nietzsche's problem using the writing ball was caused by damages — not because the writing ball itself was an outdated model. Actually, the Hansen writing ball was an outstanding invention. It was simple to use and, unlike the Remington typewriter, worked almost silently. Both the Remington and the Hansen writing ball were exhibited at the World Exhibition in Paris in 1878, and the writing ball received a gold medal, but the Remington typewriter, according to a letter Malling-Hansen wrote that year, received only a silver medal. So, in the jury's eyes, the writing ball was judged to be of better construction. 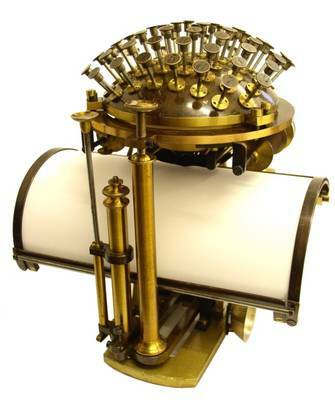 In "The Illustrated Paris Universal Exhibition" of the 5th of October 1878, the journalist compares the writing ball and the Remington typewriter like this: "
It is true that the Remington typewriter won the commercial competition and outdid the writing ball on the market, but to understand why, one must seek the reasons elsewhere than in the quality of the machines. The American investor, James Densmore, bought the patent rights to the Remington from the inventors, Sholes and Glidden, and invested tens of thousands of dollars to improve the machine. In 1873, the Remington factory, a producer of weapons and sewing machines, agreed to manufacture the improved typewriter. It is difficult to know exactly how many machines of this model were sold, but a realistic number is 1,650 in the period 1873-1882/83. Some sources claim 5,000 were sold during 1873-1878, but these numbers are uncertain, and unfortunately the different authors copy each other, and when a mistake has once occured, it is often repeated in many places. A new Remington model was launched in 1878, and during the 1880s-90s its sales began to increase. What is sure, is that the Remington machine benefited greatly from the already existing number of agents and stores, and a Remington machine could be exhibited in every Remington store around the U.S.A. and Europe. Rasmus Malling-Hansen worked hard to try to raise enough capital to establish production of the writing ball on a larger scale, but unfortunately did not succeed. Therefore nobody could go to a store to take a look at a writing ball. Every machine had to be ordered from Copenhagen from the establishment of Malling-Hansen's mechanic, who didn't have many employees. It is obvious that Malling-Hansen's invention couldn't win under these very unequal conditions, and the reason he lost the commercial competition should be obvious: lack of capital! Where were the Danish investors, and why didn't any of them support one of their most brilliant fellow countrymen and his great invention? We don't know the answer to this. Had a Danish investor, or the Danish authorities recognized the true potential of the writing ball, and ensured that the necessary capital was raised, we might all have been writing on round keyboards today instead of the qwerty keyboard, which was designed to prevent the keys from jamming because of the writing speed — while the writing ball keyboard was designed to provide the fastest writing possible. 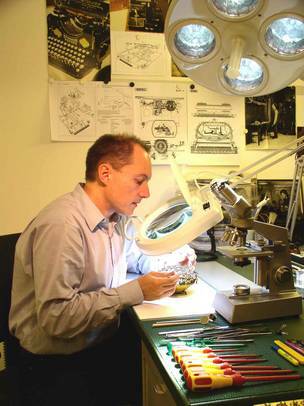 Today the writing balls are among the most sought-after items among typewriter collectors, and a writing ball was reported to be sold for more than 100,000 Euros not long ago by the Köln Auction Team. Many collectors find the quality of the writing ball to be truly impressive!